Senior citizens know how difficult it is to admit they are being cheated. When a trusted loved one is suspected of stealing from their bank account or funneling away personal assets, it can even be harder to face. As baby boomers grow older, personal wealth is being accumulated in the hands of an aging population. With advanced age comes memory loss and diminishing good judgment due to dementia, Alzheimer’s and other ailments — making them easier targets for fraud and theft by their adult children or grandchildren they trust with powers of attorney and joint bank accounts. Too often, family members try to justify the theft by providing small personal services or running errands. At Craig T. Matthews & Associates, LPA, in Dayton, Ohio, we understand that the elderly are rarely in a position to look out for themselves when it comes to financial protection. Our founding attorney, Craig Matthews, learned firsthand how painful it is to watch an elderly parent with Alzheimer’s suffer abuse, feeling helpless as a trusted family member took advantage of having access to bank accounts and assets. Today, our firm uses that experience as the energy driving our commitment to protecting those who can’t protect themselves. From offices in Dayton, our lawyers litigate on behalf of the elderly and vulnerable adults in communities throughout western, central and southern Ohio, including Cincinnati. Call us or contact us by email to arrange an initial consultation with one of our experienced Dayton financial elder abuse lawyers today. Attorney Craig Matthews has earned Martindale-Hubbell’s highest AV Preeminent* peer review rating for ethical standards and legal ability. For more than 35 years, Craig Matthews has been standing up for the rights and financial interests of the elderly and has successfully recovered millions of dollars in stolen assets, punitive damages and legal fees from people found guilty of intentionally and fraudulently abusing seniors and vulnerable adults. 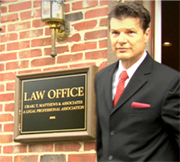 He has become recognized as one of the few attorneys with this specific experience in the areas of elder law litigation. He is recognized as one of the region’s leading experts in the area of forensic accounting, required to thoroughly investigate and prepare evidence in cases involving financial elder abuse and unauthorized access to bank accounts. Newspaper articles, television news and other local media rely on him for his knowledge and experience when reporting on issues involving the elderly. If you suspect that financial assets are going missing, act on your instincts — particularly if a family member, trustee or adviser has access to your the financial assets. Unauthorized withdrawals are often a real problem, particularly when your elderly loved one lives at home with another adult member of your family. If your loved one complains of running out of money, losing track of the amount in the checking account or noticing some unusual transactions, don’t assume that age or dementia is causing a loss of memory — it is time to take a deeper look into the financial accounts. Nobody is comfortable investigating a family member or trusted adviser, but it is most often necessary. 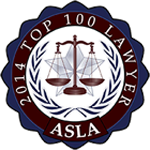 Is It Worth The Cost Of Hiring A Lawyer? In cases of proven intentional fraud, punitive damages and legal fees are often added to the recovery settlement or jury award. In all cases, we practice with integrity, including a reasonable retainer amount and attorneys’ fees based on responsible billing policies. We accept credit cards for your convenience. Our office hours in Dayton are from 8:30 a.m. to 5 p.m. Call us at 937-434-9393 or use our convenient email contact form to arrange an initial consultation and evaluation of your case. For our Cincinnati office, please call 513-512-4074 to schedule an appointment.